 EQUITOP GLME is a unique joint supplement specifically designed to support healthy joint function in horses. From the moment horses reach skeletal maturity, the normal ageing process kicks in and ongoing joint wear and tear is a key consideration for all owners. This is particularly important for horses in moderate to hard work, as every time they are exercised they will be encountering stresses and strains. Containing sustainably harvested Green Lipped Mussel Extract (GLME) from New Zealand, EQUITOP GLME offers ingredients that support your horse’s joint health and soundness. With the dizzying array of joint supplements on the market, what is special about EQUITOP GLME? Fundamentally, joint supplements are often human-created mixes and many include synthetic ingredients. EQUITOP GLME is different as it optimises natural, sustainably harvested Green Lipped Mussel Extract (GLME). Our company, Boehringer Ingelheim Animal Health, is the world’s leading manufacturer of equine veterinary medicines and continues to invest in cutting edge research and development to improve the health and quality of life of horses throughout the UK; so you can be sure of the quality of premium ingredients contained within each tub. HOW CAN EQUITOP GLME HELP? All of which combine to help maintain joint functionality by supporting the maintenance of normal joint lubrication, the stability and elasticity of ligaments and the existing shock-absorbing properties of cartilage as well as supporting the body’s natural anti-inflammatory processes. Formulated as tasty, pearl granules, making it exceptionally easy to measure and feed, EQUITOP GLME can be mixed with feed or fed separately. One tub typically lasts for 30 days and offers good value for money for the high quality ingredients within each scoop. Endorsed by vets and leading riders such as Scott Brash, Richard Davison and William Whitaker, EQUITOP GLME can be used with confidence before, during and after the competition period as it is tested free from prohibited substances and providing peace of mind whatever level you compete at.